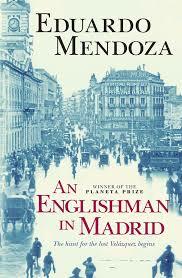 An English man in Madrid is another slow burning spanish novel ,an english art expert is in Madrid just as the first warning of the Spanish civil war are evident .I ve read this but never got to review it so if it makes the list I will ,but a review will be up at some point . 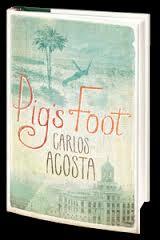 Now to Cuba and Carlos acosta ,I read this over the weekend it follows three generations in Cuba before the revolution and a pig’s foot amulet .I hope it makes it as Carlos name would bring the IffP some great publicity . Now the first book from Italy is another read and not reviewed book the tale of two close friends it shows the different paths various lives can take over time ,also maybe the chance to learn about the mysterious writer behind the book ,whom very little is known .Which is fun in the 21st century a writer can still hide behind a name relatively unknown . Also I may mention the Wu ming novel Altai that came out from Verso books ,I read the debut and this sounds interesting and again like Elena ferrante they hide some what behind the Wu Ming name these four writers . 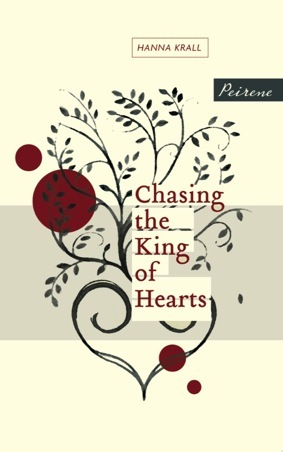 Now on to Peirene I have read all three Peirene books from last year it is hard to sat which will make the list but I think Chasing the king of hearts an episodic view of the war from a jewish women in Poland was my favourite from there three books last year .My review . 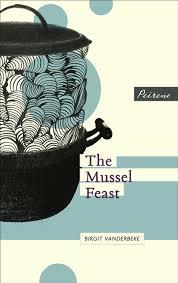 Then the other I think will be the mussel feast ,a book about being east German but also a book at its heart about families and how they live and can fall apart .Here is my review . 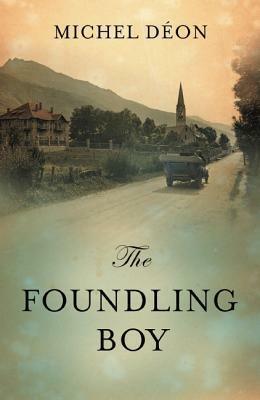 Now I am currently reading three books two are books I feel may make the longlist and the other is the first in the series because I feel the second book published first may make the longlist anyway reading this The foundling boy by Michel Deon just makes the list published in december and the first from one of France best known writers and member of the French academy . 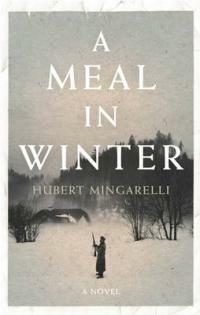 Now I had this early last year but when I saw it was the second in the series and a comment at the time from a fellow blogger about the main character and something that had happened in his past I left it and am now reading Irene the follow-up in the uk but the first book out in the UK . I read this also over the weekend a binge on Frank Wynne translations this one centre on the writer himself in a imagine childhood after an actual arrest a few years ago in a cell he relives his youth or what he felt was his youth all very french I feel . 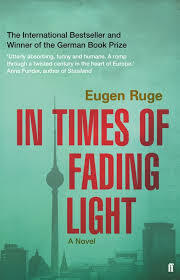 .Also from Faber whilst mention them is In times of fading light another book I am reading at the moment a from german book prize winner and all about the former east Germany . 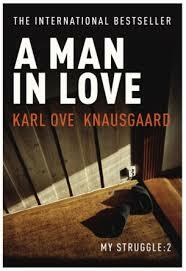 Part two in the life of Karl Ove the memoir novel of the Norwegian writers life this time we find him dealing with the early years of his marriage . 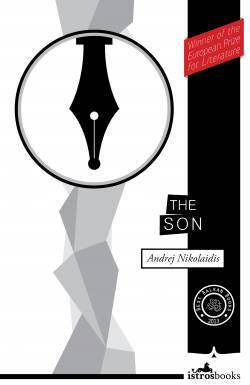 Another father and son tale this time from Montenegro ,we follow a son around his home town after falling out with father .A natural heir to Thomas Bernhard in some ways soul-searching stuff .My review . I will share Tonys list here my fellow shadow judge a few difference between me and Tony ,he has chosen 8 books ,I have mention 16 books . Pascal Garnier was a french writer ,he died in 2010 .I have reviewed the a26 and Panda theory on the blog I have also read the other two book Gallic books have issued How’s the pain and Moon in the dead eye .So I come this his fifth book keen to see what it was about as I had enjoyed all his other books .This book was reissued just after his death and was originally written in 1997 and was his second novel so is actually the earliest of the novels that Gallic books have translated by him . 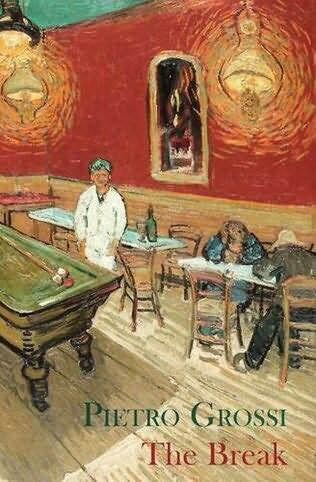 Fabien had loss early on in his life . 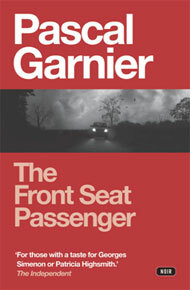 The front seat passenger follows the usual Garnier trait and that is to take one point and expand it out in the A26 he took a couple protesting a road being built ,in moon in the dead eye it is a gated community versus gypsies .so The front seat passenger is the story of Fabien his wife is the passenger of the title that died in a car crash with another man ,in the man’s car .It turns out the man was married and the two of the were having an affair and Fabien didn’t know about it.But there marriage wasn’t great but he didn’t know about the affair ,Fabien has experience loss like this before when his mother disappeared but did this first loss leave a hole in this man ?He learns that the wife of the other man is called Martine .He decides to find her and have a look at her and then he starts to stalker her .Now Fabien is lucky he has a great friend Madeleine whom is trying to help her good friend stay out of real trouble .Well to see how this pans out I would suggest buying the book to find out what happens to Fabian . Has he got over her or is his grief taking a darker turn ? Well as ever Pascal Garnier is shining a light in the darker place of the human soul loss ,grief ,betrayal .Fabian is shocked when he finds out about Sylvie his wifes accident and even more so when he finds she had a lover .The way he deals with it in becoming a stalker and trying to get some revenge this isn’t the usual way people would deal with this ,but this is the beauty of Garnier and his books the twists they take ,this isn’t the first of the last twist this book takes .The book is written in short chapter and is only 140 pages long so is one of those books that can be quite easily read in an evening . 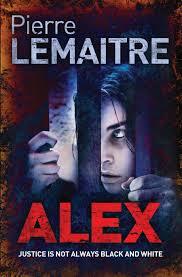 If you like your stories dark with a couple of twists this is the book for you . Joanna Jodełka is a female polish crime writer she has so far published three novels in Polish this her first book won the top lit prize for crime in Poland the High calibre prize .This is her first book to be translated to English . He’d put off talking to his mother for almost a month.And not long ago he’d been happy not to have to listen to her grumbling so frequently about his having let Malina go .It was so damm painful every time .They’d been together for six years .He’d been the one to mess things up when a year ago ,they’d agreed to part . Maciej worries about his very overbearing mother and what to tell her . 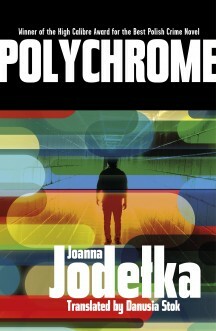 Polychrome is set in the Polish city of Pznan ,which for me was the first book I had read to be set in this city .The book focuses on two at first unconnected murder in the town ,one of these murders of a retired art restorer happens to have happen in one of the upper class parts of the city the Villa area .Brought into investigate these crimes are Maciej Barrtol and his partner .Now Maciej is a chap in his mid thires with his own problems outside work .Now the two bodies where both found in strange places and strange positions ,now the two victims actually seem at first to have nothing in common ,but as the clues start flying in and they are no near they finally get a strange break about symbols and symbolism to do with the bodies so they visited Madga an expert of Medieval symbols and symbolism to get some help .The lack of a connection is actually a connection more in the death and how they died . Now this is the back cover quote from the book and it suits it perfectly as they all have secrets in this book . Now yet again Stork books have brought us a prize-winning Polish crime novel to English.All the talk ion recnet years of Nordic crime and french crime fiction for me of the books of=ver that time I have read it has always been the Polish crime novels that have been the most challenging and inventive books around .Now on the surface I bet you are all thinking that is rather Dan brown like with the talk of symbols and symbolism but no to me it remind me more of the tv series White chapel were the past is just used as a guide to the present .Now Joanna Jodełka lead character Maciej is in the usual mould of a detective in a modern crime fiction novel ,in his mid thirties ,with problems the difference is in his problems ,his relationship has recently broke up and he is now with his rather overpowering mother at home .This book cleverly scatters clues and keeps you turning the pages as you find the ones that matters and the red herrings along the way .So I hope we get to see her other two books in English as this is the first of a series and I’d love to learn more about Maciej and also his partner who here is there but feels like he has more to tell . 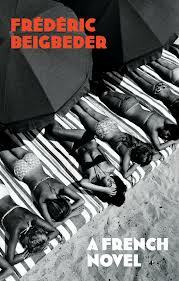 Have you a favourite novel from Polish crime oeuvre ? I couldn’t do two weeks about Pushkin press without at least once reviewing or mentioning Stefan Zweig ,as he is the writer most associated with them in my mind anyway .I have perviously reviewed his books Letter to an Unknown women and although not published by Pushkin press the post office girl .I have also read Amok for this fortnight .In my mind Zweig is a true one-off writer that thanks to Pushkin we have gotten to read in English .At the height of his fame in the 1920’s and 1930’s he was one of the best known writers in the world .This is one of a number of books by Stefan Zweig that is published by Pushkin press . So too the Journey into the past was only discovered in the seventies and published in the Germany .Ludwig is German engineer and in love with a women whom happens to be married ,but he is sent for a short trip to Mexico to work on opening a mine ,but whilst he is doing this the first world war breaks out leaving him stranded in Mexico .We see him recalling the past as he returns to see if his love is still there what has happened to her .As he travels back to his homeland the memories of their past as they await meeting again on the station . The narrative drifts through time past and present mingle . They left the station , but no sooner were they out of the door than stormy noise met their ears , drums rattling , the shrill sound of pipes – it was a patriotic demonstration of veterans associations and students in support of the Fatherland .Like a wall on the move ,marching in ranks four abreast ,flags flying ,men in military garb were goose stepping along ,feet thudding heavily on the ground . The early signs of the Nazis and Ludwig and the woman leave the station . Well this was a book that supposedly Zweig had worked and reworked this novella for over twenty years ,you can see how it has been cut and edited at just 81 pages it actually feels more like a 300 page novel than a short novella .Zweig has left fact bare and concentrated on the feeling ,memories and broken love and dreams .Ludwig was a different character than I had previously encountered in Zweig works as in the previous book I have read he has mainly used female characters .I loved the sense of lose and longing we got from Ludwig a man caught by time ,the woman isn’t named we know she is married to a councillor so is maybe an older muse for the young Ludwig whom is in his mid twenties .You also see the changing times and how Zweig worked more recent times into the narrative like the fact when Ludwig arrives back there is a nazi parade taking place almost a small signpost to the future events that drew Austria into the second world war .If you love a tale of lost dreams and loves and longing this is one that you will love . 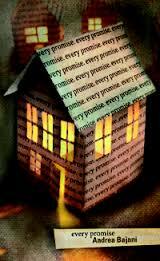 Have you read Zweig ,if so which is you favourite book ? 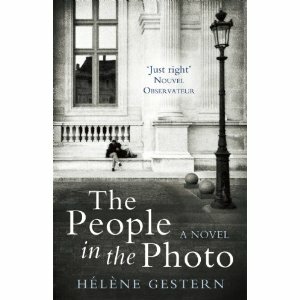 As I said when I reviewed the people in the photo last week .I had been given the chance to ask Hélène Gestern a few questions about her book and influences here are her answers . 1 Is the photo that is the key to the story real ? If so how did you get it ? And was it the kernel for the story ? The photo isn’t real, and no photo described in the book is, except one. The first photo is of course the kernel : it’s the major enigma (who are these people, why they are together in Switzerland at this moment), and the starting of point of Hélène and Stéphane’s investigation. 2 The epistolary novel was almost declared dead a few years ago, but with the increased use of email it has been revived. What made you choose it ? 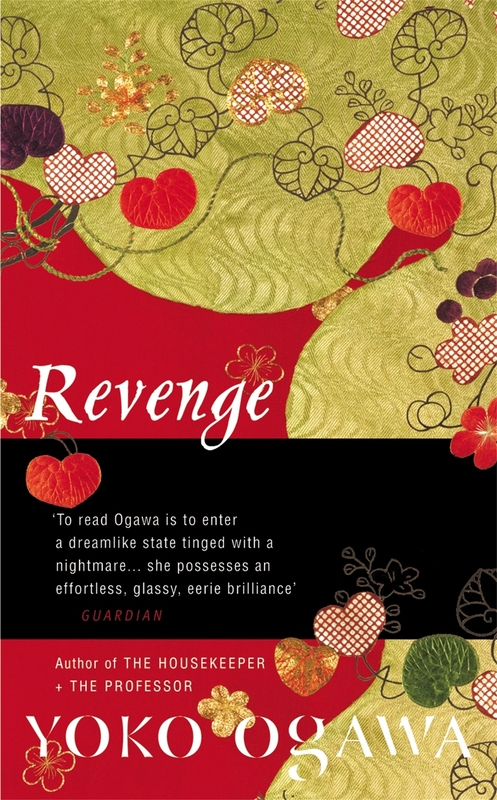 I read few contemporary books so I know little about epistolary novel revival. But I admire very much great letters writers, as Madame de Sévigné, and novels of the XVIIIth century like Dangerous Liaisons. Recently, my publisher offered me a fantastic one, Guidi Piovene’s Lettera di Una Novicia (translated in French as La Novice, 1941). This genre owes a particular and fascinating rhythm : each letter calls for an answer. It also allows the writer to introduce several characters with “I”, so to get a polyphonic narration, without creating the massive autobiographical effect from a single “I”. Regarding The People in the Photo, two dimensions are interwoven : the past elements Hélène and Stéphane find out together, and the way it influences their present lives. I needed personal voices to express what happens inside, as the journey goes along ; therefore I chose an epistolary pattern. It was especially easy for me as I’m used to communicating by writing letters or emails – I nearly never make phone calls. 3 Your book revolves around affairs and secrets. Given recent events in France do you think the French have a different view on these matters ? In my point of view, nothing happened in France regarding François Hollande : a man has an affair with a woman, so what ? Foreign newspaper attacks against him on this point seemed exaggerated as well as slightly ridiculous. The general feeling here is that we would prefer hear about his politics, considering the economic and social context. I’m extremely affected by private life violation matters and am scared to observe how quickly internet can destroy a person’s intimacy. A society that requires of each of its citizens, including politicians, an exemplary sentimental life, and that forces him/her to apologize on a TV show each time he/she does something wrong at home – anyway, it should be interesting to define what “wrong” means – seems to me a dangerous nonsense. Maybe the French are more tolerant about politician’s private life, as it involves consenting adults… If your question refers to DSK, what he did is not a matter of “affairs” or “secrets”, but a range of serious offences. Everyone was flabbergasted to discover who he really was, and you won’t find now a single person in France to stand up for him. 4 Which writers have influenced your writing ? Georges Perec had a major influence, regarding the matter of construction : he elaborated a brilliant system to build Life, A User’s Manual, which is one of the most amazing novels of the XXth century. As far as photography is concerned, I admire very much Anne-Marie Garat, a French writer whose novels and work are almost completely dedicated to photography and memory ; W.G. 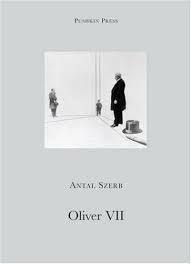 Sebald, for the same reason – he had a great French translator, Patrick Charbonnier. When I was younger, I was also keen on some novelists like Kazuo Ishiguro, with his amazing stylistic perfection (his sentences give the feeling to listen to a river flowing) or Antonio Munoz Molina, a great Spanish storyteller. 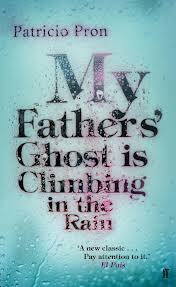 But the majority of my reading, for 14 years now, is dedicated to autobiography and personal diaries. I often write reviews in La Faute à Rousseau and some of them are readable on my site. 5 My blog is dedicated to books in translation. 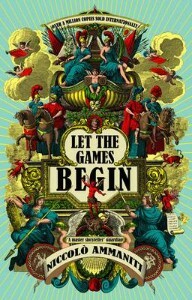 Which French books would you suggest for my readers ? For lovers of epistolary novels and classical literature, Les Liaisons Dangereuses (Choderlos de Laclos) ; for lovers of complex and brilliant story-telling, Life: A User’s Manual by Georges Perec. 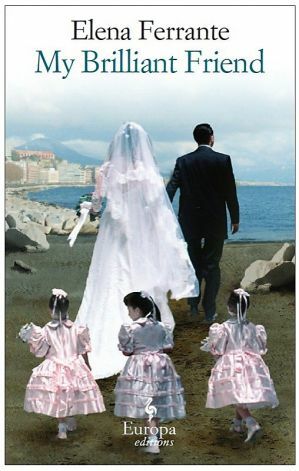 I would also recommend Sorj Chalandon’s My Traitor and Return to Killybegs, the strong, dark, moving story of lies and broken friendship between the author and Denis Donaldson. 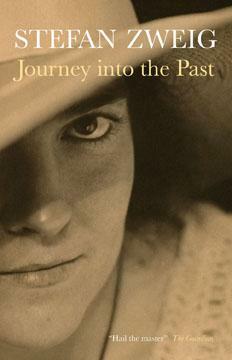 One text I would strongly recommend to English readers is Hélène Berr’s Journal. She was a young Jewish student at the Sorbonne and she died in Bergen-Belsen camp at the end of the war. 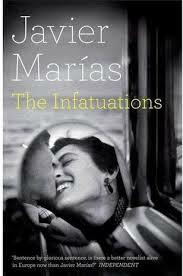 She wrote one of the most radiant, sensitive, lucid and moving texts I have ever read. 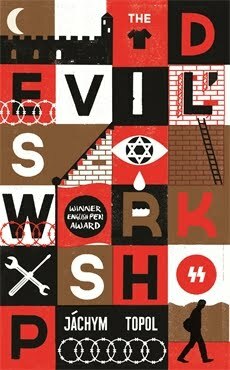 She decided to stay in Paris during WW2 despite the dangers (her own way to resist to Nazis) and describes how everyday life is turning to hell for her and her family. At the same time, she falls in love. Within the awfulness and the darkness, despite her conviction she will be caught and die in a camp, she remains able to perceive beauty of life, to tell of her love for Jean, her fiancé, for countryside, music and Yeats’s poetry. Everyone should read this text. 6 How easy was it to work with your translator ? The work was very easy : I had nothing to do ! Actually, one of the translators, Ros Schwartz, is a friend of a friend a mine, but we discovered this extraordinary coincidence after the decision to translate was made by Gallic Books. I’m aware that I am especially lucky, as the book was translated by two people, Ros and Emily Boyce, to give a genuine touch to the epistolary effect. One day, Ros Schwartz sent a mail to ask me three questions about a chapter. They were so precise, regarding some very subtle meanings (even for a French-native speaker), that I knew the translation would be great – and it is. 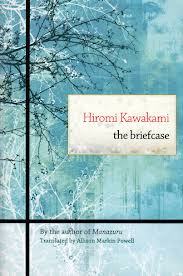 I read the whole book in English and was so moved to see to what extent they succeeded in keeping the original rhythm of writing – nothing is more difficult – and to express how a friendship turns into something else through the way the characters sign off their letters – although there is no equivalent between the two languages. This translation is amazingly faithful, but with its own grace, its own poetry. 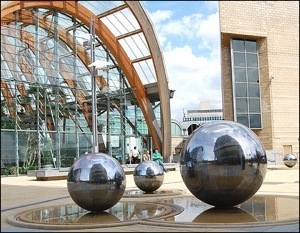 I’ve mention a few times about a meeting of book bloggers so I have just decide to choose a day in June the 28th which is the last Saturday in the month and ask people to come and have a meet up .What I have in mind is meeting at millennium gallery and winter gardens which is very near the station having a coffee at one of the many near by coffee shops and having a book swap there if everyone brought a book wrapped and then we just swap them obviously not picking our own book back then a visit to waterstones which is quite a big one in Sheffield ,followed by lunch at museum pub followed by a walk round and visit to the large second hand book shop and some of the sights in Sheffield .I have made it four months ahead of time to let people sort time of transport etc I really hope people will be wanting to meet up and have a fun day in what is a fun town . I’ve been meaning to try Pietro Grossi ,after a couple of years ago Rob of Rob around books raved about his previous book Fists .I also knew its would be a winner when I mentioned on twitter I was reading it for Pushkin press fortnight and two people from over publishers tweeted their love of this book .Pietro Grossi is an Italian writer ,he was born in Florence is a huge fan of Hemingway and J D Salinger ,started writing age eight ,he has won a number of prize in Italy and has written five books so far .Pushkin have translated two his previous book the short story collection Fists made the Independent foreign fiction prize short list in 2010 . When Dino got home ,Sofia was at the far end of the living room ,making soup in the kitchenette ,surrounded by steam and sliced vegtables . “Weren’t you winning ?” Sofia asked ,turning away again ,and although she had her back to Dino ,he knew there was ironic smile hoovering on her lips . Great interaction of the couple . The break is the story of Dino a stonemason and huge billiards fan .His life is steady ,he lives in a small town and does dream of travel and others things with his wife .But isn’t really going anywhere ,then his wife tells him she is pregnant .This cause Dino to maybe face up to his life and future more than he has done before ,he also enjoys a huge success via an old mentor in a billiards competition .Add to this secrets of bribes in the local area and Dino needs to pull himself together and start facing his life ,wife and future . Dreams can be great ,like Dino Amanda and I have many we need to start living . I connected with Dino ,I am not a billiards player of talent ,but have played snooker and pool in my time so that part of the book I could connect with but the billiards is also used as a metaphor because Dino suddenly discovers clarity at the game but also maybe discovers clarity in his own life at the same time .I also connected with Dino as a person I myself find my life at this point as rather like Dino’s at a point of treading water ,I like dino have maybe settled for a simple easy life and have let life pass me by at times .I enjoyed Grossi vision in this Dino is a character that anyone in mid-life can connect with the book is about those huge turning points in people’s life ,in Dino’s it is a baby on the way and the responsibility that will bring and wanting to live out some of his dreams .I like Dino need to finds some drive in my own life and maybe stop treading water on my life .The book is a small part of the modern world ,his trade a stone mason dying out but also overlooked due to corruption ,coping with a new baby ,getting on in the world these are all questions that face all of us in some ways in the modern world . Have you ever really connected with a character in a book like I did with Dino ? I would like to welcome you all to the first Pushkin press fortnight two weeks celebrating one of the true champions of fiction in translation in the Uk .For me they have brought a number of names to me as a reader , that I wouldn’t have read other wise ,the biggest of course is Stefan Zweig but also modern writer like Andres Neuman ,Peter Stephen Jungk and Pietro Grossi . 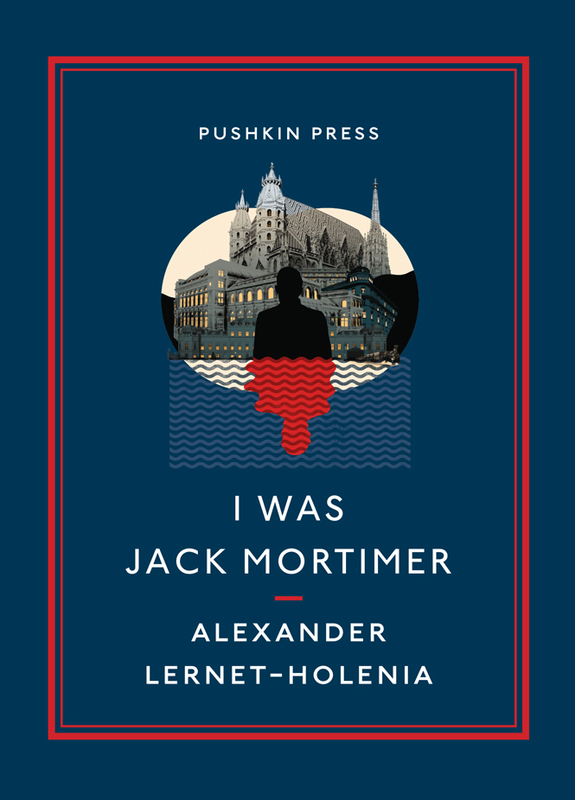 I was Jack mortimer by Alexander Lernet-Holenia – tense noir is fictrion ,as a man takes over a dead man’s identity . 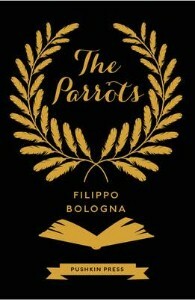 The parrots by Flippo Bologna Italian wrioter compete for a to[ prize one is young one in the middle of his career and another considered a great writier near the end of his career . 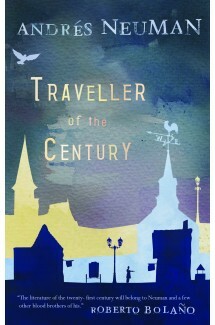 Traveller of the century by Andres Neuman the wonderful book set in Europe a wonderful book on translation book shifting realities one of the best books of recent times also he has a new short story collection out soon . This next two weeks I ll be reviewing two books from Stefan Zweig Amok and other stories and Journey into the past .The break by Pietro Grossi and Oliver VII by Antal Szerb all of which I have read I also have Butterflies in November by Auður Ava Ólafsdóttir and from the fatherland with love by Ryu Murakami to try and read . 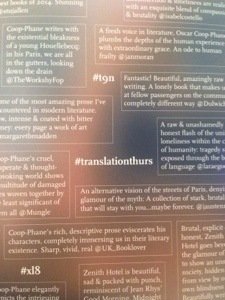 Have you a favourite book from Pushkin press ?